We help you set up your business in Sharjah, one of the safest and most liberal economies in the Middle East! Sharjah is fast emerging as a cost-effective alternative to Dubai for setting up a business due to the presence of an International Airport that ensures global air links and dual ports on the west and east coasts of the Arabian Gulf having direct access to North Africa and the Indian Ocean. Its strategic location (at the junction of Asia, Africa, and Europe) offers unmatched possibilities for investors, and therefore sees the influx of over 5.2 million investors, consumers, and tourists every year. Sharjah is one of the safest global cities with a very low crime rate and has an abundance of inexpensive energy supply. The judicial system in Sharjah is fair, and the economy is liberal with competitive fees structures and property lease rates. Additionally, there is a presence of highly qualified and skilled workforce that is mostly bilingual and very economical. Moreover, there is a provision for sponsorship and visas for the entire staff with a 24X7 hotline that ensures an uninterrupted provision of labor and equipment. Why Set Up Your Business in Sharjah? Sharjah is thriving with economic development and is one of the most rewarding economic destinations that attract foreign investment. The Government of Sharjah recognizes the importance of trade, service, and manufacturing sectors in sustaining the country's economy, and has therefore framed policies that encourage foreign investment. Flexible government policies have played a crucial role in gaining the faith of global investors, and have largely contributed to the rapid and continued economic growth of the Emirate. 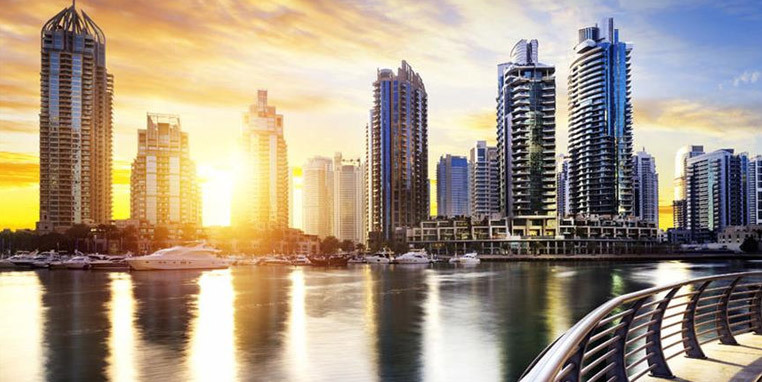 Further, the business growth trend in Sharjah stays positive as it has always emphasized on maintaining global economic ties and friendly trading relations with a vast number of countries across the world. Established in 2009, Sharjah Investment and Development Authority (Shurooq) is an independent government body that focuses on the Asset and Property Management, Development, and Investment in the Emirate. It also looks over the economic, social, environmental and cultural development of Sharjah, in line with Islamic values. Sharjah Economic Department is the licensing authority for issuing all kinds of business licenses in Sharjah, except for the free zones. For service providers in the fields of teaching, law, medical services, etc. Free Zone companies in Sharjah can be set up in any of these 2 free zones with a minimum capital of AED 150,000 (approximately US$40,000). Set up in 1995 in the Emirate of Sharjah, Sharjah Airport International Free Zone (SAIF-Zone) are UAE's industrial powerhouse and one of the most premier business destinations. SAIF-Zone houses more than 4,500 companies (Industries, Commercial companies, and Professional firms) from 91 countries. The USA Regional Trade Center (USARTC) was established in the year 2011 as a part of Sharjah’s objective to promote Sharjah as a hub for international business and turn it into an investment-driven economy. The USARTC offers Small and Middle-Sized Enterprises (SMEs) the opportunity to grow commercially and expand their trade in the Middle East and North Africa (MENA) region. It helps SMEs by assisting them in exploring and entering the market, including establishing a presence in the UAE and other regions. Sharjah Publishing City (SPC) is an exclusive free zone for printing and publishing. Being one of a kind in the world, Sharjah Publishing City free zone is one of the most attractive destinations for all the publishers and book lovers. Covering a landscape of 400,000 sq. meters, it provides good warehousing and office space facilities for business owners. Sharjah Media City, known fondly as Shams, was launched in January 2017 with a vision to be a world-class hub for media and creativity in the region. Similar to other free zones, Sharjah free zone also issues licenses to companies, freelancers and entrepreneurs wanting to set up a business. A business may choose to set up in Sharjah Mainland, comprising geographical areas set up by UAE Government authorities for commercial purposes. 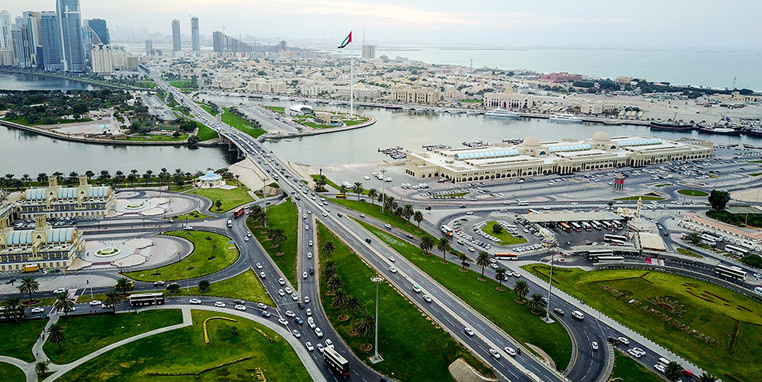 It consists of one of the most developed economic areas in Sharjah with regularized legal policies. Commitbiz can help you set up your business, replete with all the legal formalities, in this mainland. For a company to be opened as a Limited Liability Company (LLC), a capital of AED 150,000 is required. In case you want to avoid spending this capital amount, we can help you set up a civil company, which needs a local partner acting as a service agent. Read more about mainland company formation in Sharjah. For setting up business in Sharjah, there are few procedures and legal formalities that need to be fulfilled. Our team at Commitbiz can help you take care of all the required legal procedures and documents to help you set up your business in Sharjah. We support firms and entrepreneurs set up a business in Sharjah, by taking care of all the formalities and support services from start to finish. Our team has years of expertise and specialization in company formation in Sharjah, and we employ it to ensure that your business gains a strong foothold in this growing economy. Contact us for business setup services in Sharjah, our experts will be glad to assist. In terms of business, setup cost in Sharjah, what is the minimum capital required to establish a company in a Sharjah Free Zone? For a Free Zone company in Sharjah, the minimum capital required is AED 150,000 (or the US $41,000), but there is no minimum capital required if you are setting up a branch of a foreign/local company. What is the corporate tax rate in Sharjah? The corporate tax rate in Sharjah is 0%. However, if a distributor wishes to sell within the UAE, a customs duty of 5% is levied. Are there any restrictions on importing or exporting goods in Sharjah? As long as the goods being imported/exported are allowed by your license, there are no restrictions on importing and exporting them. Furthermore, no duties are imposed on goods imported and/or exported from within a free zone. What is the minimum number of directors required for company formation in Sharjah? A company in Sharjah is required to have at least 1 director, who may not be a resident of Sharjah.